There has been much discussion of this flag in recent months, and personally, as a blogger, I wanted to write a post from my perspective, but felt that in the early stages of the debate, emotions were far too high to allow for an intellectual conversation about the issue. I am not sure, even now, a rational and intellectual conversation can be had, on such an emotion filled topic. But I will try. Let me begin by trying to head off the usual distractions on this issue. First, I do agree that this flag should “NOT” be flown from the same flag pole as the U.S. Flag, or a state flag, or in conjunction with those flags in any manner on “PUBLIC” property. 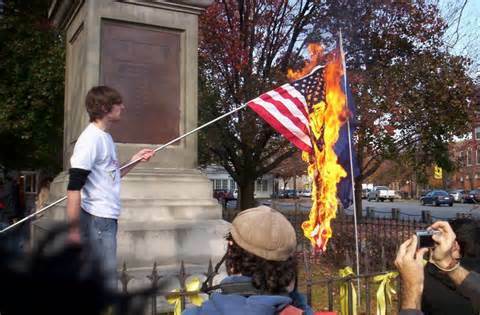 Not because of its history, but because I wouldn’t want this flag flown in that manner . Second, this is not a discussion of the history, nor the meaning of the flag. I do not care if you think it is a flag of hate, or a flag of heritage, I do not care that a maniac in South Carolina happened to be holding it in a photo, or that he wrapped his mental illness within it. What I do care about is Liberty. Not just the pretty, and iconic Liberty, so many are comfortable with. 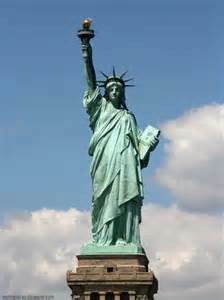 It is very easy to be proud of, and to defend this, “Give me your tired, your poor,Your huddled masses yearning to breathe free”, it is so American, and so thoughtful and inclusive. However, it is not so easy to be proud of, and to defend this. Yet these are pieces of the same puzzle of Liberty. I will not here, attempt to defend, the idea of Neo Nazis, I will never be proud that our nation produces such groups, even in our ever evolving society. What I will say, is that the very fact that groups such as this are able to hold rallies, and express their twisted view points, is not only a demonstration of those view points, but is the clearest example of true Liberty. Our Founders felt so strongly about a citizens right to express and demonstrate their views freely, that they placed that right within the very first Amendment of the Bill of Rights. Now of course some will say that no law has been passed to stop private citizens from displaying the Confederate Flag, and that is true. And government is within its powers to restrict what is displayed upon public lands. And I know many people hate the slippery slope argument, but it is usually those who would gladly take a sled ride down that slope. I believe in the current emotional state that the public finds itself, over this issue, and the reactionary tendency of our elected officials to act without thought, it is not hard to see a time when people would be asking government to actually outlaw those things that they find offensive. This is not an argument about the Confederate Flag, it is an argument about Liberty. 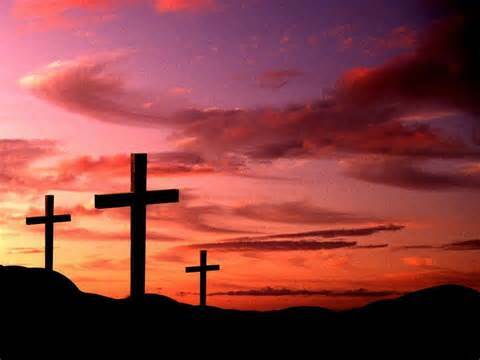 For if we allow the fact that people are offended by the Confederate Flag , or this or that group, to be the only justification for banning, or making them illegal, where does it stop? What next? 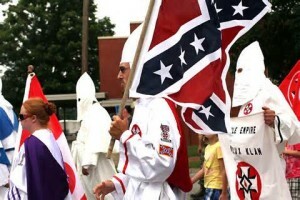 “Oh, I’m not offended by that flag, but it does annoy me, much like these flags annoy me, don’t ask me why. I see these things, and I just want to drive off the road. The point is, that this flag doesn’t hurt me, it just annoys me, maybe it offends some. But it causes no physical, or emotional damage, I can simply look away. 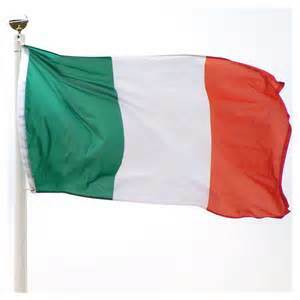 Unless someone uses the post that it is on, to stab me, they have every right to display this flag. And even then it is not the flag that is at fault. But what if I start an anti-garden flag movement? Say I find hundreds, no thousands, no millions of people who feel the way I do, and we begin to protest the displaying of these flags? Oh, at first we will target Town Halls in the Midwest, in small rural towns with small populations. Then we will move on to state capitals, and because our disgust is so great, we will take this fight against ugly garden flags all the way to the Supreme Court of the United State of America, because no child should be made to suffer the indignity of this hurtful imagery. 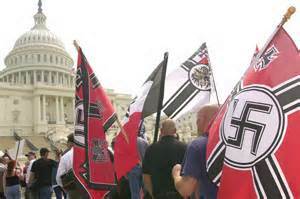 Oh, of course those who like these flags will claim it is their right to display them, that their mothers displayed them, that their mother’s mother displayed them. But I won’t care, I will not stop until all evidence of these flag’s existence is wiped from the face of the earth, and no trace in history will remain. Sounds pretty absurd, huh? But is it really? Are we not talking about the same principle here? If we allow this emotional wave to continue unchecked by intellectual debate, then is it really hard to believe, that what I describe about garden flags, could be where we are headed with the Confederate Flag? Again, let me state, my concern is not about the Confederate Flag, it is about what it represents in respect to our Liberty. 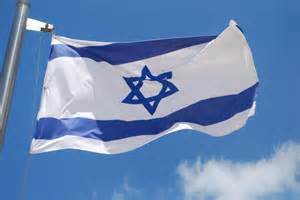 For if we allow this to happen, if we allow people’s homes and property to be vandalized, and stolen, their person to be attacked, and we allow the media to treat the victims as criminals, because they chose to display this flag, then we have set the precedent for other groups to do the same thing. How many people living in the United States today find this flag offensive? 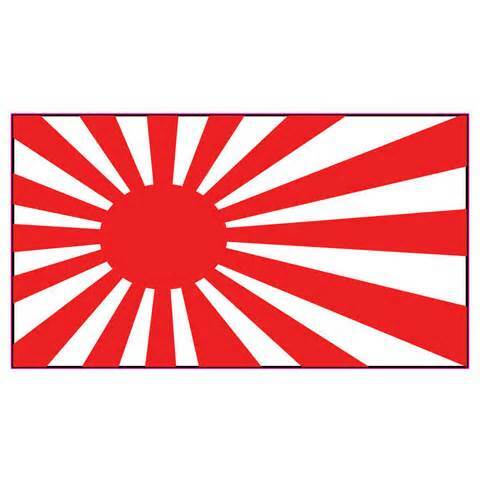 also used this flag. 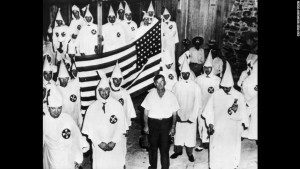 So how long before the same people who are offended by the Confederate Flag begin to demand that the U.S. Flag be struck from public places? Please don’t say it can’t happen, we already see many people’s discontent with the U.S. Flag being played out. Let me be clear, I have no legal issue with people demonstrating their discontent with the U.S. Flag in this manner, though it does create an emotional response. While I would vehemently disagree with these acts, I would defend their right to do so. For if I do not protect their rights, who will protect mine? 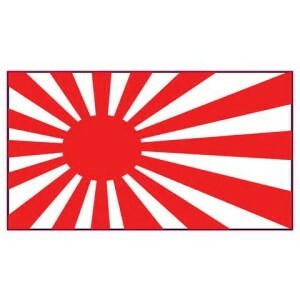 or this flag, or this symbol. Have we become so blind, so lazy, so uninformed as to what Liberty truly is, that we no longer can see past our own wants and desires, to see that our Liberty is directly connected to every citizen of this nation, and if we stand by and allow their Liberty to be lessened, simply because it doesn’t directly affect us at the moment, then the Liberty of every citizen is lessened. Don’t defend the Confederate Flag because you think it represents heritage, defend it because it represents Liberty. Those who hate it the most should work to educate, and inform, but while doing so, they should defend the people’s right to display the flag. It is when we stand together as Americans to defend each other’s rights, even with those we disagree, that we strengthen this nation. It is when we stand apart from each other because we disagree, that we weaken this nation. 28 Comments on "Liberty’s Ugly Underbelly!" Nice article except for one point – the Confederate flag shouldn’t fly on public lands – that’s not up to you to decide. That’s up to the people of the state who own the public land to decide. What happened in SC deprived the people of SC their right to decide what should and shouldn’t fly in their state. Would you really want the people of SC dictating what Delaware can and cannot do? FDR, your knee JERK reaction is out of place. In stating my view, ” I do agree that this flag should “NOT” be flown from the same flag pole as the U.S. Flag, or a state flag,”. Notice if you take the time, that I said “I”. I did not say, ” this flag should “NOT” be flown from the same flag pole as the U.S. Flag, or a state flag,”. I also later said that government is within its powers to decide what is displayed on public property, if the people have a problem with those decisions, then their recourse is the ballot box in the upcoming election. No where did I state that the people have no recourse, or that my view in Delaware should effect S.C..
And your narrow take on this issue is exactly what I feared would be the response. You are focused solely on S.C., my post is about the larger issue. Back-up, take a breath, put away your pre-conceived ideas of me, and try again. Not trying to start an argument. My point was one glaringly lacking in your article. And since you wrote this article BECAUSE of SC, why wouldn’t I mention it? Now, if you wrote about the volunteer fire station in Marion, MD flying the US, MD, and Great Britain flag and objecting to the GB flag being flown on public property alongside the American flag on public property in general, I would have said the same thing changing my argument it’s up to the people of MD to decide what is proper to fly on their state property, not you. In fact, that’s what the Confederate flag represents – the right of the people of each state to decide what is appropriate for their state. I’ve never been a fan of a strong, centralized federal government or strong nationalism where someone in another state feels it’s their place to tell me what our state should be doing. Again, I made it clear that I was not writing about the Confederate Flag, but about the response to it, and the potential ramifications from that response. You are trying to say that I stated something about S.C.’s right to self determination because I expressed my view. I did not say, “I do agree that this flag should “NOT” be flown from the same flag pole as the U.S. Flag, or a state flag, or in conjunction with those flags in any manner on the grounds of the state capital of South Carolina”. Try to follow along here. You have chosen to focus on a triviality, and one that does not even exist, except in your own misconception of what was said. Ok, done here. 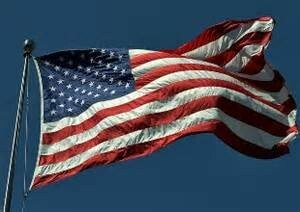 If you can’t see that when you say “I do agree that this flag should “NOT” be flown from the same flag pole as the U.S. Flag, or a state flag, or in conjunction with those flags in any manner on “PUBLIC” property” and you can’t see that you were writing in the context of what occurred in SC, there’s no point in this debate. But the fact you said the Confederate flag shouldn’t be flown from the same pole as the US flag and state flag translates to the fact you are trying to dictate policy in other states that you have no business dictating. You stated, like it or not, that forty-nine other states shouldn’t be flying a Confederate flag from the same pole as the US flag and their state flag nor in conjunction with those flags on public property. So while I picked SC as a specific example (the news story that prompted your article), my argument holds if I substituted any other state except DE since you are a DE resident and DO have a say on what flies on DE public property. Well thank you FDR for inferring upon me the power to dictate to other states what they can or cannot do simply by stating my view that I agree with those who feel that the flag should not be displayed on public property. I am now the all powerful Oz. You misread what I wrote or are so desperate to disagree about something that you are grasping at a straw that didn’t exist before and doesn’t exist now. Now you can’t walk it back and have to continue to act as if my intentions within the post were not clear. Ok. But thanks for making my point about not being able to have an intellectual conversation on this issue. Why is it every time we disagree, you are quick to launch into ad hominen attacks? Look. Right off the bat I said you wrote a nice article, but I took exception to the blanket statement that the Confederate flag has no place on a flag pole with the US and state flag or on public property. If you were talking about Delaware, and Delaware alone, no problem. Since you made the statement as a blanket rule implying all states should not fly any flag except the US and their state flags, I took exception to the statement because I am very anti-nationalist. Here, let’s make it simple. Do you think Hawaii would be wrong to fly the flag of their last ruling King along side the US and state flag? Personally, I wouldn’t understand it, but if that’s what Hawaii wants to do, as long as it’s in a place of honor after the US and state flag, who am I to say it shouldn’t fly on the same pole nor on public grounds? I sure wouldn’t want that flag flying over Annapolis as I’m sure you wouldn’t want it to fly over Dover. I would probably object to raising the flag if the governor of Hawaii came to MD because, while that flag may have significance to the people of Hawaii, it has none for MD. Their state flag flying over Annapolis out of respect for the state is as far as I would accept. 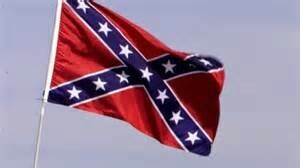 So when I look at states that have flown the Confederate flag, I respect the people’s rights of that state to decide what is and is not appropriate to fly and I don’t make asinine commentary that the Confederate flag doesn’t have a place on any flag pole shared with the US flag or on any public grounds. As for crediting you with awesome power, of course you have none. But it is your style of commentary echoed over the TV and radio airwaves, on social media and blogs, and even by national/international corporations deciding not to offer products people want (actually, the negative effects of national corporations on our society is a whole ‘nother article) all add up to dictating what the national sentiment should be with regards to the Confederate flag. Now that we’re digging up dead people because of the negative rhetoric, isn’t it time to put the brakes on it? The only “liberty” the confederate flag represents is the “liberty” to keep slaves. If that’s what you think is worthy of representation and defending, you must have slept through any elementary school discussion of the American civil war. Frank you need to stop arguing with a goof who names himself five drunk rednecks…..
You were perfectly clear in the piece..
And I agree, by the way. Also, I got a bunch of those garden flags in my yard and good point….soon the hoards shall come and make me rip them out if the idiots get their way. Goof? Really? Feel like a big woman name calling strangers like a school yard bully? @FDR- ” Do you think Hawaii would be wrong to fly the flag of their last ruling King along side the US and state flag?” Well, actually sir, the State Flag of Hawaii IS the flag flown by the last ruling QUEEN of Hawaii. and was adopted by a King before her. BTW- The people of South Carolina DID decide to remove the Confederate Battle Flaf from public grounds, That decision was made by their elected representatives. Just like keeping slavery legal wasn’t the issue for the South, abolishing slavery wasn’t the issue for the North. Thank you, Mitch, for the brief history of the Hawaiian flag. I thought, though, the Hawaiian flag was the Union Jack in the corner with color stripes representing each of the islands that make up the state. I could be wrong. I picked that example out of the air to illustrate a point. I don’t even know if the last ruling monarch of Hawaii even had a flag. I will split hairs with you on SC, though. Over intense national pressure, SC’s elected representatives caved and removed the flag. Whether most people of SC wanted the flag removed, wanted it to stay, or maybe even didn’t care whether it stayed or went, I don’t know. But when the fervor over the flag moved to renaming parks, taking down Confederate memorials, and digging up Confederate veterans because they “deserve no honor”, I have a hard time tolerating the rewriting of history and attempts to erase it. “We have to act, we don’t have time to lose because extremists are trying to erase the identity, because they know that if there is no identity, there is no memory, there is no history, and we think this is appalling and this is not acceptable,” UNESCO’s director-general Irina Bokova stated emphatically. “Either [the minority groups] conform to [the Islamic State’s] views of religion or belief or they have to disappear. I don’t remember anything like that in contemporary history. This is a way to destroy identity. You deprive them of their culture, you deprive them of their history, their heritage, and that is why it goes hand in hand with genocide. Along with the physical persecution, they want to eliminate—to delete—the memory of these different cultures,” she added. Bokova made these comments over a year ago as she described Isis tactics as the terrorists took over a northern town in Iraq. She could’ve been talking about the Confederate rhetoric over the last couple of months. That is the state flag of Hawaii. The stripes are one for each island. The Union Jack represents the support the monarch received from the British. Okay, just as I thought. First Delacrat, did the Confederate Flag fly over slavery? Yes. But if you do not recognize that the U.S. Flag flew over slavery quite a bit longer than did the Confederate Flag, then you are still asleep. The question of liberty here has nothing to do with past history of the flag, or the current feelings for the flag. I DON’T CARE!!!!!!!! The question of Liberty here is the right to display the flag. Now to my good friend FDR. The reason I am bothered by your first comment is because it is exactly what I expected. You say you are for individual state’s rights. But obviously you do not feel that I have a right to express my view,that no flag should be flown along side the U.S. flag except for a state flag, or maybe a county flag of that state. 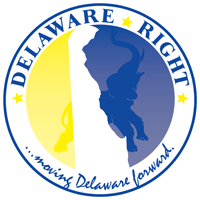 You would silence me from speaking this view, even though the only power I have to enforce my view would be, one man, one vote here in Delaware. Not sure how having a view point about this infringes on a state’s rights. You are free to disagree with my view, but that does not make me a dictator. I am beginning to wonder if you actually read the entire post. or if you came to something you felt you could exploit as a point of contention and stopped. Doesn’t matter why they voted the way they did, they were elected to do so. But as I said earlier, if the people of S.C. in sufficient numbers feel that was wrong, then they can vote those legislators out of office. That friend is a Republic form of government. And you just couldn’t resist the bait could you? Delacrat (who I am starting to think of as the progressive Don Ayotte) throws out the slavery word, and you bite it like a pit bull chained in the backyard with no food for a week. Let me state again for those who have a reading comprehension problem. I don’t care what the flag stood for. Being offended is no reason to infringe on my rights, or those of any citizen. So I reckon the question, Mitch, is how long before an Internet outrage du jour over the Hawaiian flag and the perceived allegiance to Britain will erupt? Frank, to paraphrase a famous movie quote: what we have here is a failure to communicate. I’ll go back to my first response. You wrote a nice article, but I take exception to the blanket claim that a flag pole is reserved for the US and state flag and nothing else. Since I have been trying to engage you in an intellectual debate on our difference of opinion, I really don’t understand how you think I “would silence [you] from speaking this view”. I reckon it’s time for me to move on. No matter how I phrase my opinion nor examples I give, you presume to know how I will respond and why I respond as I do, which, by the way, you are wrong on that, too. Good thing I didn’t comment on my objection to your inferential comparison of the Confederate flag to the neo-Nazi flag or garden flags. I’m sure the comparisons were unintentional and not meant to be a derogatory sentiment directed at Southerners and their heritage, but now I wonder…. Unless it’s your employer wanting to maintain a harmonious workplace, nobody is going to stop you from displaying the Confederate flag. Delacrat, that is what we are talking about. Now that FDR has found his way to the topic as have you, I am not so sure that we are not on the path to a Taliban type PC nation. Where the very act of being offended is worthy of police action. FDR, last time, my stating my view that in public property a flag pole is reserved for state and national flags, is just that since I have no authoritie to act unilaterally to enforce that view, I simply pointed out my agreement with others who feel that way. I notice you try to backhandedly say I have some southern bias, if you knew anything about me you would know how absurd that is, but you play the cards you want. Frank, last time: if your words have no effect, why bother writing a blog? We’re not taking down flags, renaming parks, and digging up dead people because words, collectively, don’t matter. Oh, and no backhanded accusation. I merely pointed out how your comparisons could be read. You know, sometimes maybe you should listen to what your readers say instead of assuming they are some sort of trolls whining just to whine. FDR, your point about the hysteria concerning parks and monuments is exactly what the post is about. But if they are public lands or accepting public funds they are subject to the government that funds them. I am concerned that this hysteria will spread to the private sector. As for my examples, I chose the Nazi flag because a large number of people find it offensive as do the confederate flag. I chose the garden flag for the reason of absurdity. The fact that you made some sort of southern connection, may say more about you than me. That is clearly incorrect. The U.S Flag has 13 stripes and 50 stars. That flag never flew over legal slavery. And, Pat, your neighbors called. 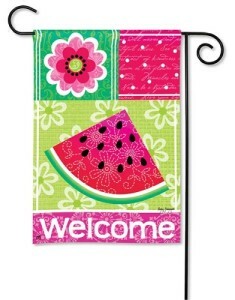 They want you to get your garden flags out of their yard. 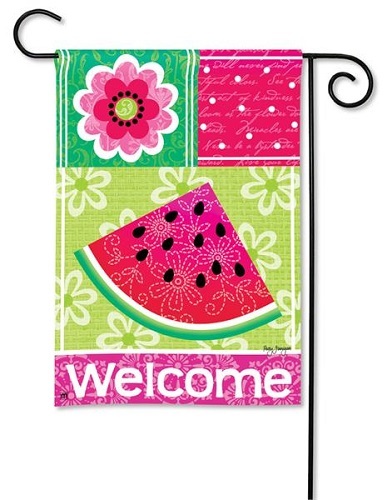 I’m highly offended by the watermelon supremacist flag. Fish Sticks, that is the most idiotic comment I have ever read. And that is saying something. The flag that flew over the United States up until the beginning of the Civil War, was the U.S. flag, it represented the U.S., including the Southern states, and as such flew over legal slavery much longer that the four years of the Confederate flag. And thank you for again proving that I was right, that people can’t discuss the larger issue here, they are prone to returning to their safe comfortable rhetoric. You should read this blog more often. I read Fish Bites’ reply a couple of hours ago and I’m still laughing. This is probably true. As the chasm grows and the culture deteriorates, will there be any choice? Unlike in 1860, there will be no war. Some say “what about the army?” My guess is that most fighters will be with the secessionists. A swath from Idaho to Texas and through most of the South will constitute the new state. ← Date Set For Special Election In The 18th!!! !